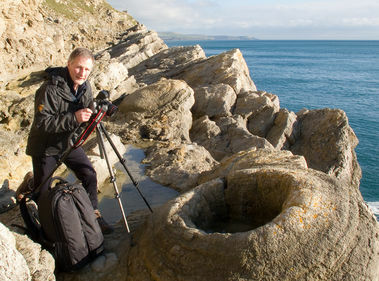 Highly acclaimed Shell Wildlife Photographer of the Year (2007), Ben Osborne, embarked on a photographic journey along the World Heritage Jurassic Coast of Dorset and East Devon. 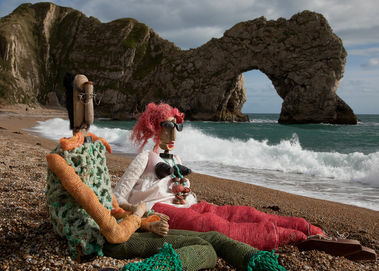 Supported by principal funder The Fine Foundation, Ben recorded a year's visual diary of his experiences of the coast as raw material for a touring show, which later kicked off on a nationwide tour in February 2011. Introduced to local scientists and especially geologists via links established by the Jurassic Coast arts team, Ben provided a both educational and stunning visual presentation of the significance of this outstanding coastline. In autumn 2009 we were delighted to hear that Arts Council England decided to support an artist-led collaboration with Ben to extend the range of this project. This collaboration was facilitated by Devon-based poet Matt Harvey and also involved West Dorset-based visual artist Lal Hitchcock and musician/composer Sammy Hurden. This project was also being supported by East Devon and Dorset AONBs. A visual arts exhibition, Deep Time, based upon the achievements of this project launched in September 2011, supported by the Heritage Lottery Fund. Jurassic Journey was a joint project of Artsreach and our sister scheme, Devon-based Villages in Action.